LOS ANGELES (Reuters) - Domino’s Pizza Inc (DPZ.N) is ramping up the food delivery wars, adding online ordering for more than 150,000 new delivery “hotspots” at U.S. parks, beaches and other destinations that do not have traditional addresses. Executives say the move opens new sales opportunities for the company, a pioneer and dominant player in restaurant delivery, as traditional eateries and supermarkets face pressure from third-party delivery “disruptors” that are flush with venture capital or subject to less stringent expectations when it comes to profits. “We know that delivery is all about convenience, and Domino’s Hotspots are ... all about flexible delivery options,” said Russell Weiner, president of Domino’s USA. While customers previously could ask Domino’s to deliver to offbeat locations, the initiative establishes set drop-off points that customers can find with the location services on their smartphones. This will help customers order via Dominos.com and the chain’s mobile app, said Dennis Maloney, the chain’s chief digital officer. Such orders previously were only available by telephone. Customers pre-pay the orders, select a location from a menu and have the option to add instructions to help drivers identify them. Domino’s texts them order status updates, including estimated arrival times. Customers also supply mobile phone numbers in the event of a hiccup, he said. Despite the company’s name for them, the locations are not wifi hotspots. Domino’s declined to disclose costs related to the project and said it had no immediate plans to hire additional drivers. Roughly 60 percent of its orders are digital and Domino’s delivers around 65 percent of overall orders. U.S. sales from third-party restaurant and grocery delivery services are forecast to nearly double within five years, significantly outpacing growth in the U.S. food industry overall. Strategy firm Pentallect Inc expects the third-party food delivery industry’s sales to grow from $13 billion in 2017 to $24.5 billion by 2022. The firm say the industry has a 13.5 percent annual growth rate, versus the 3 percent rate for the U.S. food industry overall. Restaurant delivery companies GrubHub Inc (GRUB.N), UberEats and DoorDash, the latter of which has raised funding totaling $722 million, are in a fierce battle to win the segment that was once the domain of national pizza chains like Domino’s, Papa John’s (PZZA.O) and Yum Brands’ (YUM.N) Pizza Hut. At the same time, Whole Foods owner Amazon.com (AMZN.O), Target Corp-owned (TGT.N) Shipt and Instacart, which has raised about $1 billion, are shaking up the grocery industry with home delivery. 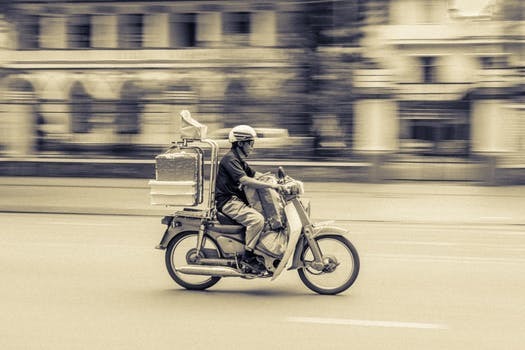 While venture capital firms and deep-pocketed retailers invest heavily in third-party delivery, many restaurant operators are weighing whether it is best to work with outside delivery providers who take a percentage of sales, often 15 to 30 percent, or to spend the money to do it themselves. McDonald’s Corp (MCD.N) is partnering with UberEats for delivery in the United States, even though its stores in China and elsewhere dispatch their own delivery drivers - often on scooters. Panera Bread Co, which has spent about $150 million on technology that underpins delivery and other services, has built its own U.S. delivery service. It hired 10,000 drivers in 2017 and is on track to do the same this year. Restaurants lose margin “every time you have more hands in your pocket,” Panera CEO Blaine Hurst said, referring to third-party services. Nevertheless, the chain continues to experiment with third-party delivery companies as it looks for better, more efficient ways to provide the service, Hurst said. Yum, which also owns the Taco Bell and KFC brands, took a different tack earlier this year, spending $200 million to buy a 3 percent stake in GrubHub.